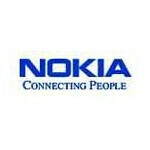 Nokia has announced the world's first Near Field Communications (NFC) product for payment and ticketing. It represents an enhanced version of NFC shell for Nokia 3220 and enables consumers to pay for items from debit or credit accounts as well as acts as an electronic ticket simply by touching the shell to a point of sales device or ticket gate with an NFC reader. Customer's payment credentials, such as debit and credit cards, and transport tickets are securely stored in the integrated smart card chip of the Nokia NFC shell. Both MasterCard and Visa have signed on to work with Nokia to support NFC. The Nokia NFC shell is expected to be available mid 2005 through carriers.